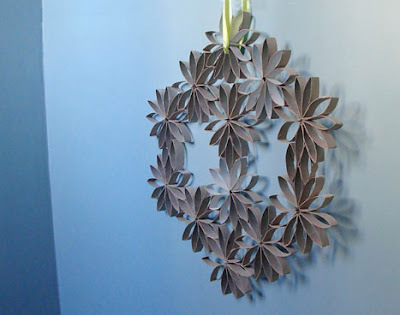 HERE's a "natural" version of the toilet paper roll wreath from Creative Jewish Mom. So simple to put together and so elegant as decor, don't you think? From June 1st, 2010. 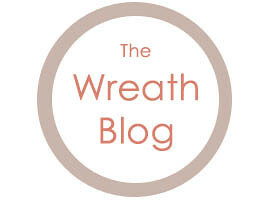 Welcome to THE WREATH BLOG, a collection of over 350 wreaths made by you and me. A place where you will find wreaths of all kinds from natural beauties to those made from unconventional, even surprising, materials. Learn how to make them, find a shop from which to buy them, or just sit back and enjoy the waves of inspiration and candy for the eyes! Click the above button to see all wreaths in one big scrollable window! Comments are intentionally disabled to let you focus on what's important: getting inspired. I do, however, urge you to leave your lovely thoughts on the creators' respective sites. They work hard to bring you these delightful wreaths. Show them you appreciate their work with some comment love. Email me at michelemademe [AT] gmail [DOT] com!